This manual introduces how to conduct 2004-2007 Chrysler Key Learning on Auro OtoSys IM100. 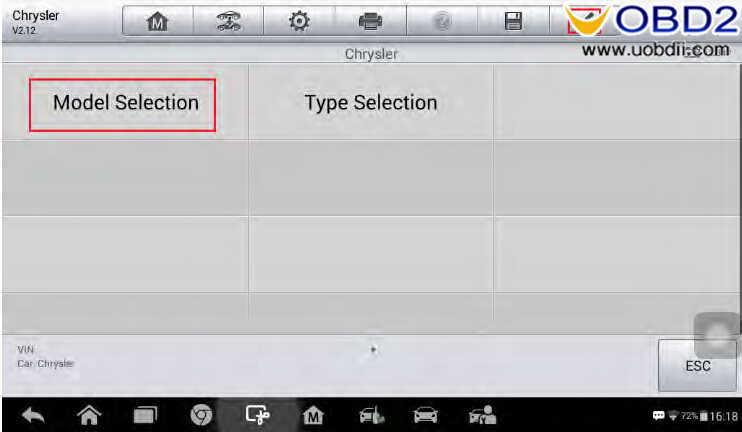 Model Selection – the user can select the model and year of the vehicle to locate the IMMO type. 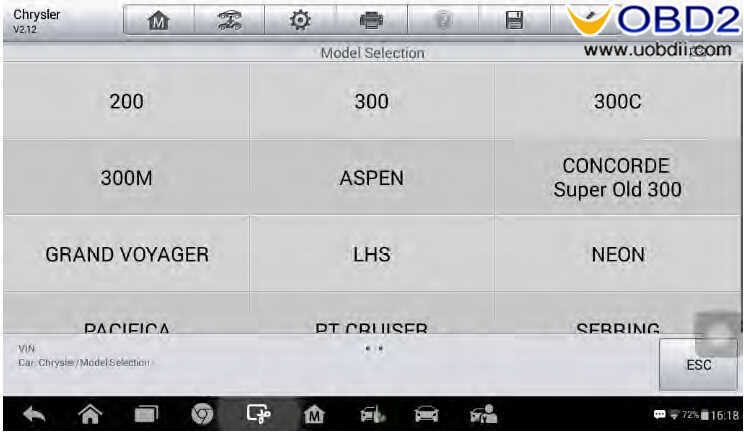 Type Selection – the user can let the IM100 tablet automatically identify the IMMO type. 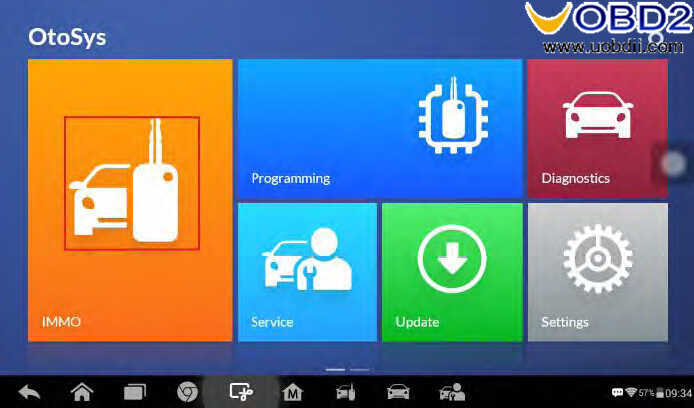 1.Connect the IM100 tablet to the vehicle’s DLC via the included main cable for both communication and power source. 2.Make sure the user has access to WiFi service. Note:Illustrations used in this manual are samples, and the actual testing screens may vary by vehicle. 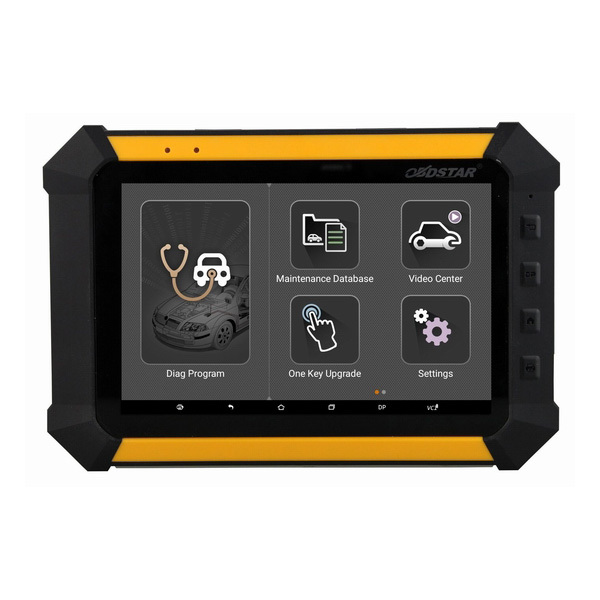 Observe the menu titles and on-screen instructions to make correct selections and operations. 1.Insert an original key into the ignition switch and then turn on the ignition. 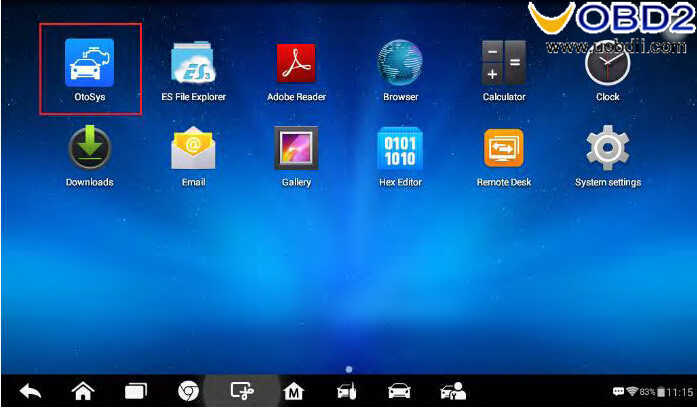 2.Turn on the IM100 tablet and then tap OtoSys > IMMO. A vehicle menu displays and a disclaimer prompts up. Tap Accept to continue. 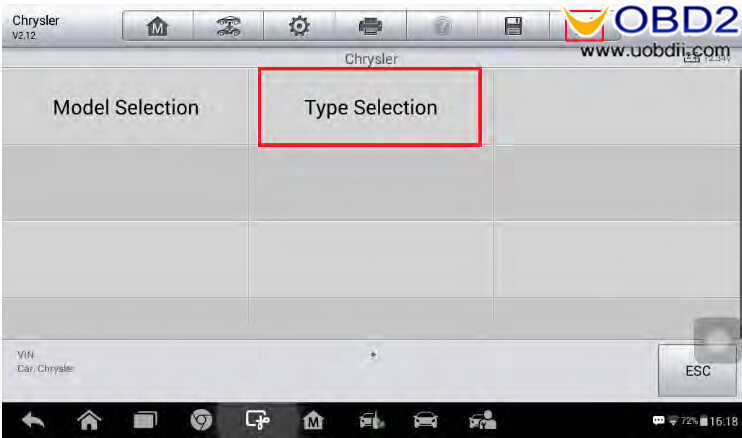 3.Tap Chrysler on the vehicle menu. 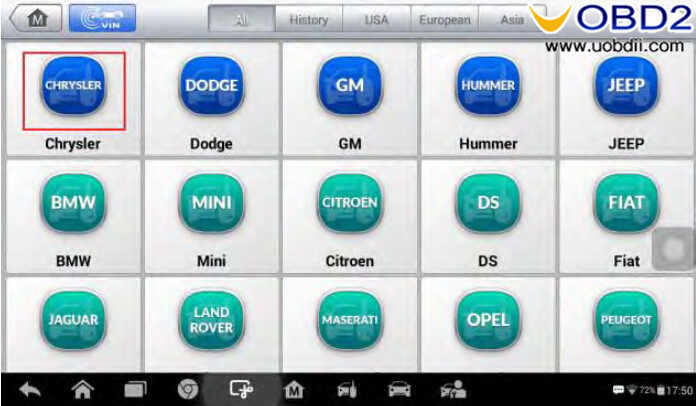 4.Tap Model Selection on the mode menu, and then select the model and year of the vehicle. Note:You can click the pen icon near the top-right corner to record the operation data. If you encounter any difficulties, click the icon again to send us the data and the problem, so that our engineers could help. The network should be connected when uploading the data. 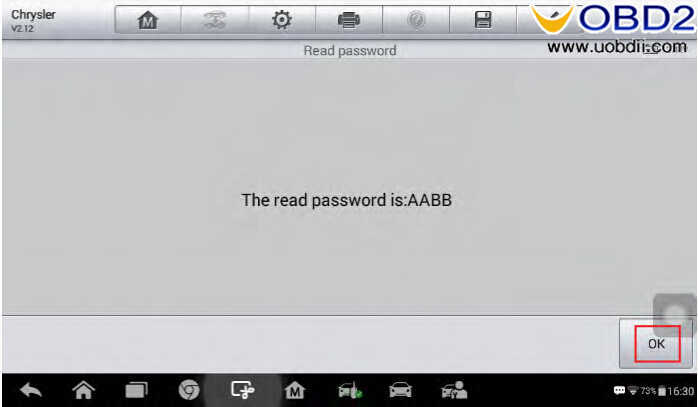 5.Tap Immobilizer Password Reading on the function menu to read the immobilizer password. Then tap OK and exit to the function menu. 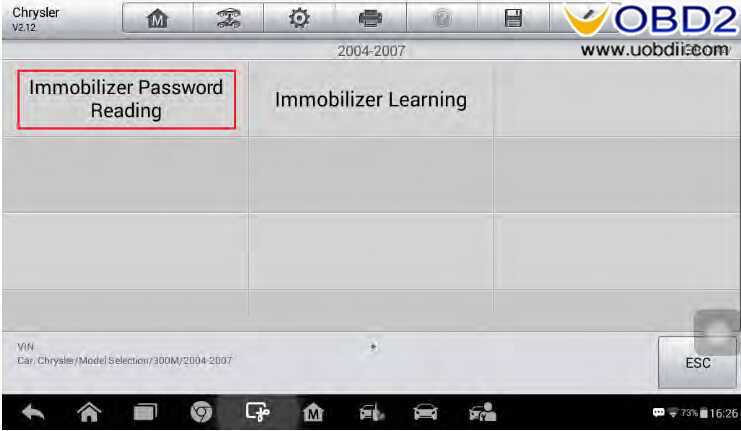 6.Tap Immobilizer Learning > Key Learning. Then a Key Learning menu displays. Old Key Learning: If the BCM module is replaced or the original key(s) can’t work, the user can perform this function to adapt the original key(s) to the IMMO system of the vehicle. 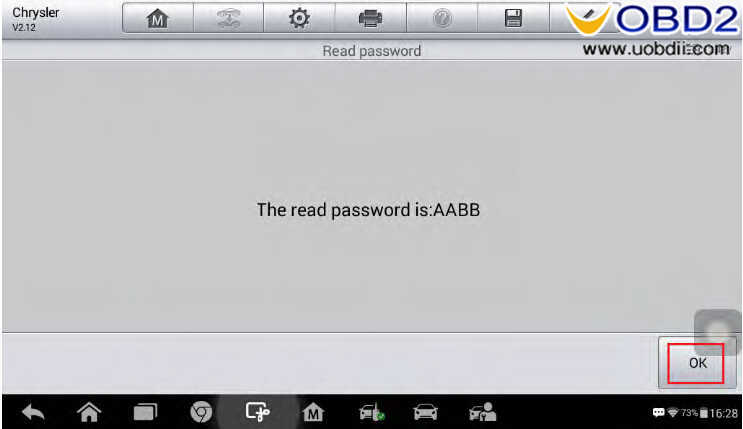 New Key Learning: The user can perform this function to adapt new key(s) to the IMMO system of the vehicle. 7.Take New Key Learning as an example. Insert the key to be learned into the ignition switch, turn the ignition on and tap New Key Learning on the menu. 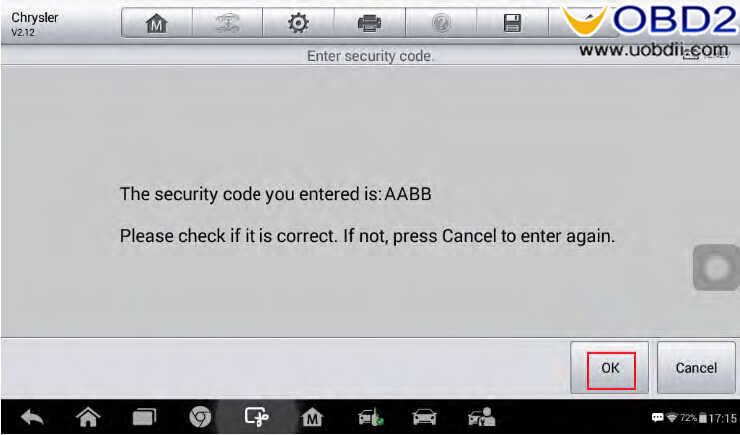 8.Input the 4-digit immobilizer password and tap OK to continue. 9.Verify the password and tap OK to continue. 10.Read the information of keys and tap Yes to continue the learning procedure.When New Key Learning is completed, tap OK to exit. 4.Tap Type Selection on the mode menu. You can click the pen icon near the top-right corner to record the operation data. If you encounter any difficulties, click the icon again to send us the data and the problem, so that our engineers could help. The network should be connected when uploading the data. 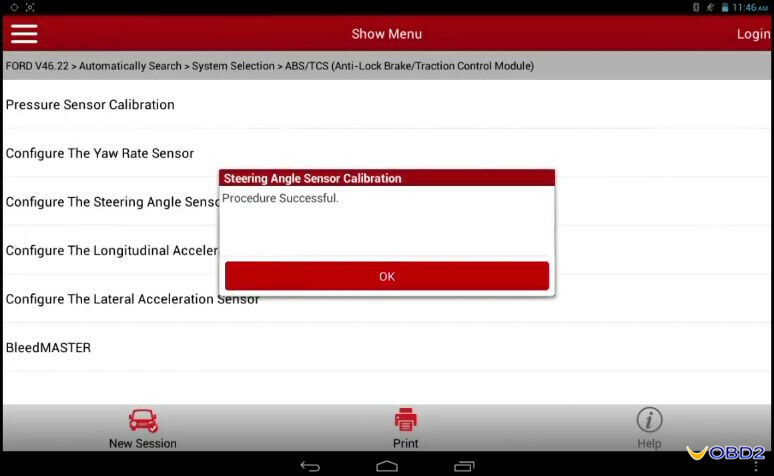 6.Tap Immobilizer Learning > Automatic Scanning to identify the IMMO type. 7.Tap Key Learning on the function menu. Then a Key Learning menu displays. Old Key Learning: If the BCM module is replaced or the original key(s) can’t work,the user can perform this function to adapt the original key(s) to the IMMO system of the vehicle. 8.Take New Key Learning as an example. Insert the key to be learned into the ignition switch, turn the ignition on and tap New Key Learning on the menu. 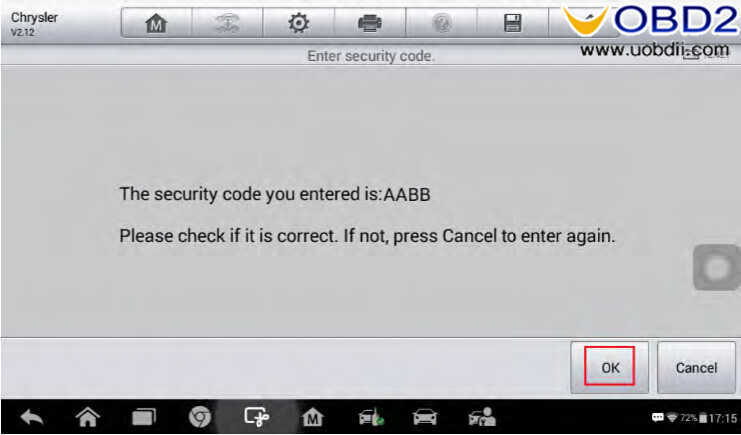 9.Input the 4-digit immobilizer password and tap OK to continue. 10.Verify the password and tap OK to continue. 11.Read the information of keys and tap Yes to continue the learning procedure.When New Key Learning is completed, tap OK to exit. 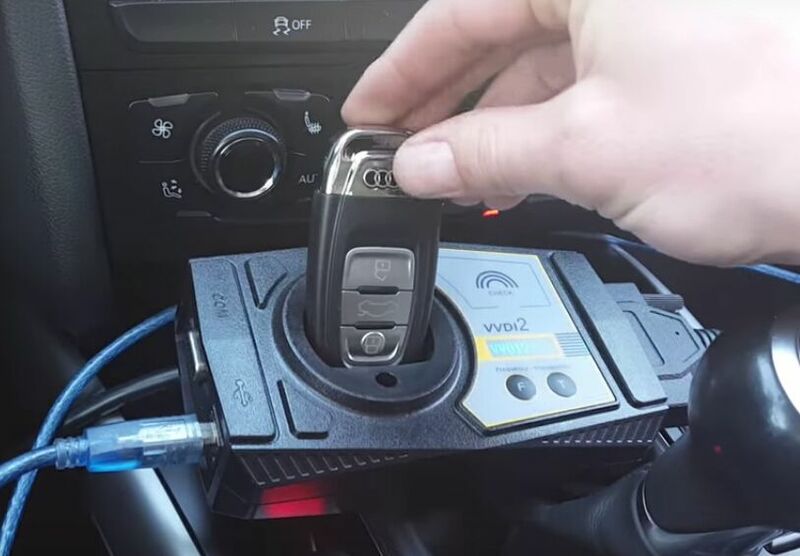 How to Use Auro OtoSys IM600 to Perform Key Learning for VW OBDSTAR X100 Pro X300 upgrade adding IMMO, Steering angle reset and mileage correction How does VVDI2 program VW 5TH IMMO Audi A4 B8 remote key? 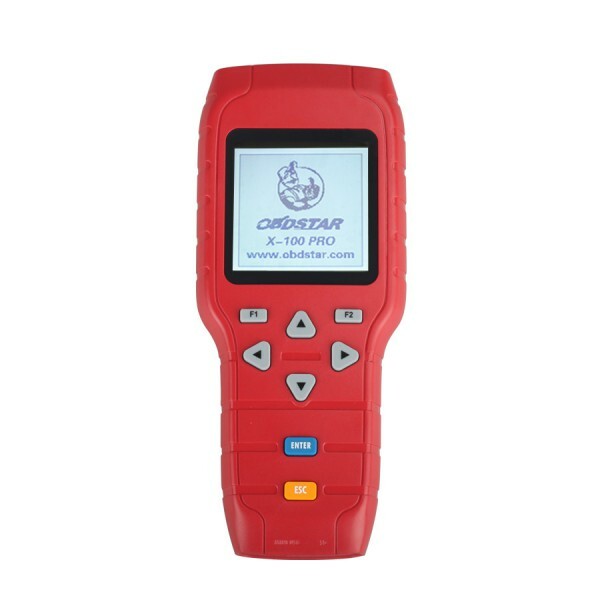 OBDSTAR X300 DP+ RFID Adapter program key VW 4th 5th IMMO OK Launch X431 V Ford Steering Angle Sensor Reset+ Clutch Leaning Toyota 2004 key stolen, can I use a used key from other car? 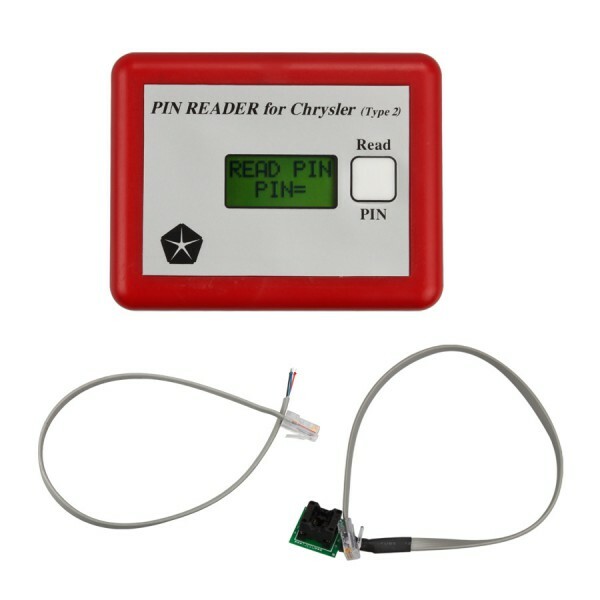 Chrysler jeep dodge pin code no offer by dealer, how to do? 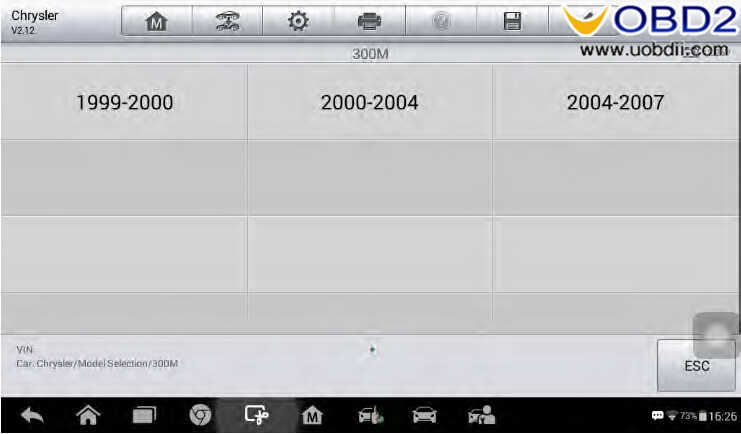 How to adjust odometer on Peugeot BSI 2004 HO5 with OBDSTAR X300DP / X300 PRO3?